China Southern Airlines has signed an agreement with U.S. aircraft manufacturer Boeing to set up a 737 NG passenger-to-freighter (P2F) conversion production line in Guangzhou, China. The deal also includes undercarriage overhaul for Boeing 777s and 787s, a support centre for Boeing 787s, and support programmes for Guangzhou Aircraft Maintenance Engineering Co (GAMECO). Last year, Guangzhou's aircraft maintenance bases recorded 3.26 billion yuan (US$520 million) in total revenue, a year-on-year increase of 30%, making the city a global aeronautical maintenance hub. According to Li Tongbin, vice general manager of China Southern, converting passenger aircraft into freighters is the top priority for the industry, with independently manufacturing planes on the radar as well. 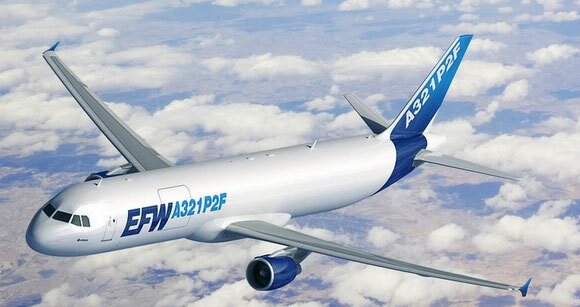 In another freighter conversion deal, Elbe Flugzeugwerke (EFW), the joint venture between Singapore's ST Aerospace and Airbus, last week announced that it secured a launch contract from Vallair Solutions Sàrl (Vallair) for its A321 passenger-to-freighter (P2F) conversion programme. The Germany-based aerospace company will convert 10 A321-200 passenger aircraft to a 14-pallet cargo configuration for Vallair. The first aircraft will be inducted in the last quarter of 2018, scheduled for redelivery by end of 2019. According to President and CEO of Vallair, Gregoire Lebigot, there is "a huge potential for the A321 P2F, not only as a replacement of the B757F, but as a key tool for the cargo industry to achieve the projected growth rate of the air freight market in general – in particular driven by express services and e-commerce." "The A321 P2F will be the first aircraft to introduce a containerised lower deck to the market segment of narrow body freighters: a significant game changer for any hub and spoke operation," he said. ST Aerospace (Singapore Technologies Aerospace Ltd) is the aerospace arm of ST Engineering with facilities and affiliates in the Americas, Asia Pacific and Europe, including EFW (Elbe Flugzeugwerke GmbH), which is a 55:45 joint venture of ST Aerospace and Airbus, based in Dresden, Germany.